River Cleanup—On Saturday, Oct. 11, twenty students from Rahway High School’s Social Action Club joined volunteers from the Boy Scouts of America and the Rahway River Association as they participated in the annual Fall Cleanup of Milton Lake Park in Rahway. The Social Action Club, under the leadership of English and journalism teacher Elizabeth Graner Jotz, promotes the spirit of environmental volunteerism and raising awareness about injustice in the world. Proposed Social Action Club events for this academic year include an OxFam Hunger Banquet, a food and clothing drive and more community cleanups. 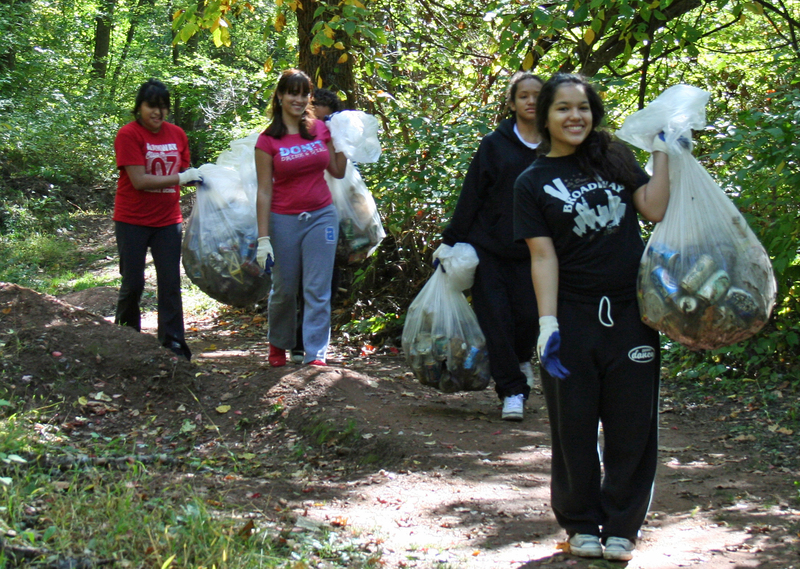 Pictured above, girls from the Social Action Club carry trash out of the woods at Milton Lake Park in Rahway.